NEW YORK (Nov. 14, 2013) — The Public Trust Doctrine — which dates back to Roman times and is incorporated today into U.S. law — recognizes that some natural resources, such as the air we breathe and the water we drink, are for the greater public’s good and that it is the government’s responsibility to protect these resources for both current as well as future generations. It’s also reflective of several Jewish biblical principles. In the book of Genesis (2:15), we are commanded to be stewards of all Creation. In the book of Leviticus (19:16), we are instructed not to stand idly by as atrocities occur. And in the book of Deuteronomy (30:19), we are told to live so that our children should live. These lead to principles of environmentalism, social action and protection of intergenerational equity. Scientifically, when we pollute the air we breathe, we pollute ourselves. But Jewishly, from the Torah’s perspective, when we burn too many fossil fuels, we are stealing from future generations. Our collective carbon overconsumption steals fresh air, clean water and a stable climate from future generations. And if we do not change and do not say anything about it — if we stand idly by — then we are doubly guilty. 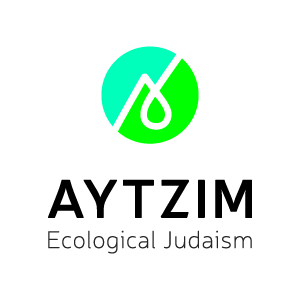 With that in mind, the Green Zionist Alliance this week joined five other faith-based environmental organizations, including GZA partner Interfaith Moral Action on Climate, in filing a friend-of-the-court brief with the U.S. Court of Appeals for the District of Columbia Circuit in what’s known as the “Our Children’s Trust” case. Five young people are suing the U.S. government for being in violation of the public-trust doctrine. In essence, they are calling out the United States for failing to protect our natural resources — the air, water and land that the generations of tomorrow will inherit from the generations of today — by not enacting policies to abate climate change. They are not alone. Recently, thousands of young people from across the country traveled to Pittsburgh for the Powershift conference, frustrated with the thought of inheriting a broken climate and wanting to do something about it. And students are calling on their university leadership to dump fossil-fuel stocks and invest in renewable energy instead. Youth of today are not standing idly by and as Jews we cannot either. Join the Green Zionist Alliance in fighting against climate change and fighting for smart climate policy. As much as climate change threatens the United States, it threatens Israel even more, and it threatens all of Creation. Tell the leaders in your Jewish community that they should be investing in the stocks of renewable-energy companies instead of continuing to support fossil-fuel firms. And call your government representatives and tell them: Stop stealing from future generations. Take responsibility for what we are doing to the Earth. And start being stewards of Creation. L’dor v’dor — from generation to generation. Click here to download the brief of faith groups as amici curiae in the Our Children's Trust case. Click here to download the brief of leading scientists as amici curiae in the Our Children's Trust case. Click here to download the opening brief of the youth plaintiffs in the Our Children's Trust case.